In the Bihn house in Ho Chi Minh, Vietnamese studio Vo Trong Nghia Architects addresses the issue of large-scale urban development in Vietnam, which we have discussed in recent years, tracing the evolution of the city’s architecture. 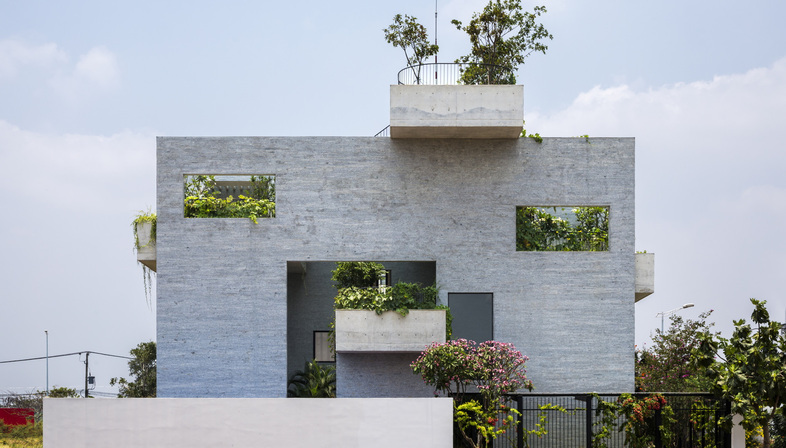 New homes in Ho Chi Minh such as the Bihn house designed by Vo Trong Nghia respond to the considerable reduction in the amount of unbuilt land covered with greenery in the metropolitan area by coming up with compositional solutions which compensate for the absence of nature outdoors with the presence of greenery inside the home. 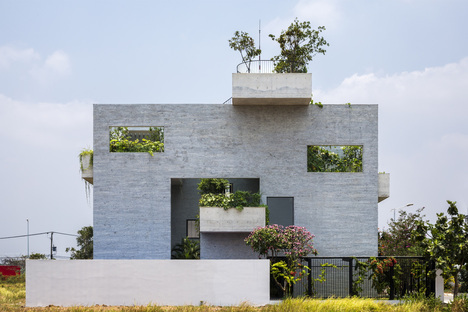 Significant anthropisation of spaces, especially urban spaces, in the country due to migration from the countryside to the cities, which is leading to a service-based economy, has led to a housing crisis and a tendency to respond to this demand by eating up more and more land. 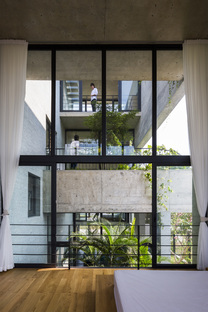 Vietnam is changing, slowing losing its territorial identity characterised by luxuriant vegetation. 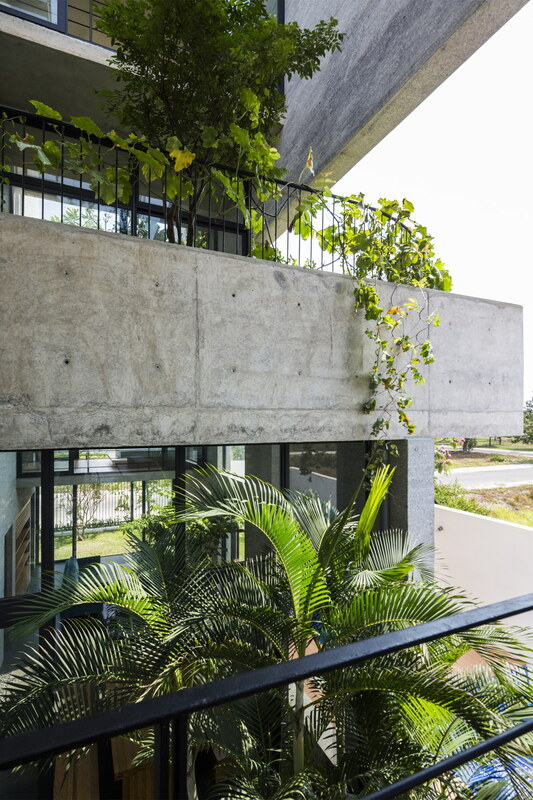 What remains is a tropical climate with long seasons of intense heat and rain that encourage architects to look for new ways of combining the built and natural worlds, human habitation and vegetation. 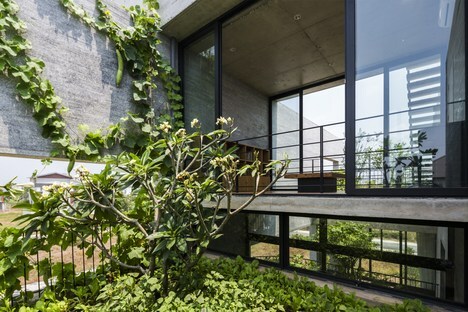 As in the House for Trees on the outskirts of Ho Chi Minh or the Nha Trang house designed in partnership with ICADA, in which roofs are planted with greenery, in the Bihn house the evolution of research inspires the architects’ organisation of indoor spaces, alternating the bedrooms, kitchen, living room and bathrooms with filter spaces consisting of hanging gardens. The cross section and perspective drawings reveal a “chequerboard” design in which rooms are never adjacent to one another because they are interrupted by natural or empty spaces left to permit the upward growth of vegetation. 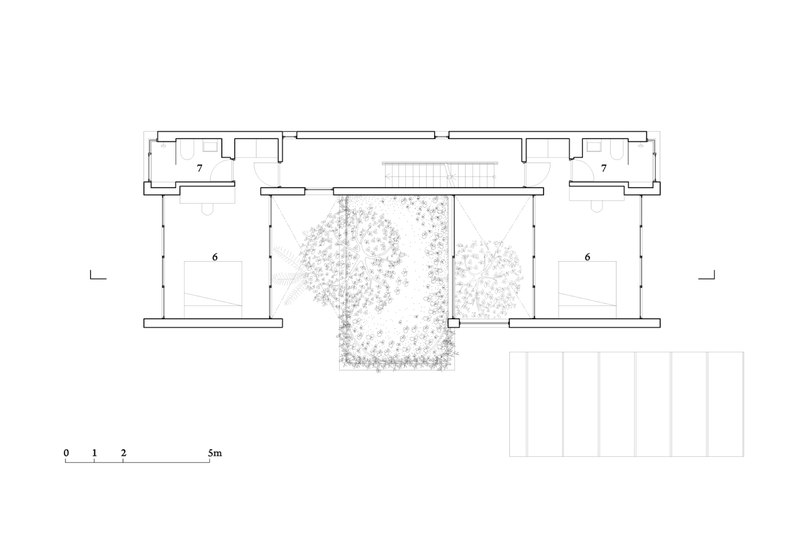 This alternation of full and empty spaces, comprehensible in cross section view, creates an idea of visual continuity between different rooms, encouraged by the presence of numerous large floor-to-ceiling glass walls that do away with physical barriers to amplify perception. 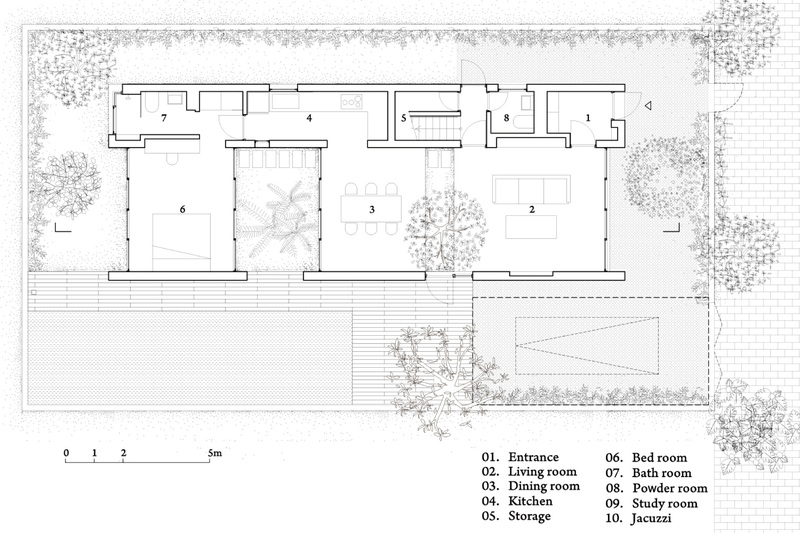 This choice is also justified by the building’s users: three generations of a single family. 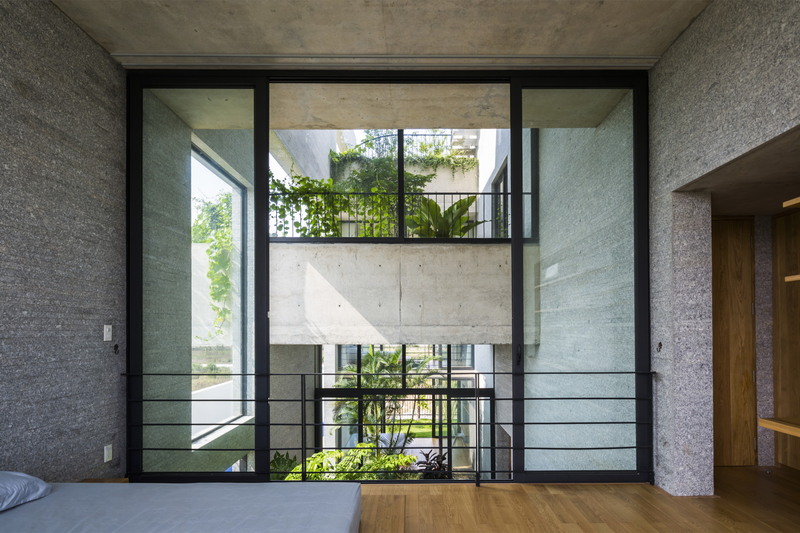 The comprehensible differences in lifestyle inspire the division of the home into three little private “apartments”, one on the ground floor and two on the first floor, each with its own bedroom, bathroom and walk-in closet. 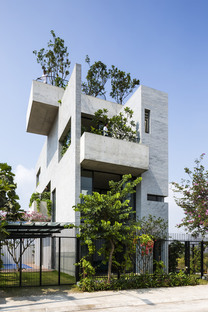 Their location on opposite sides of the building ensures privacy while allowing all the members of the family to share common spaces such as the living room, dining room and, above all, the luxuriant gardens. 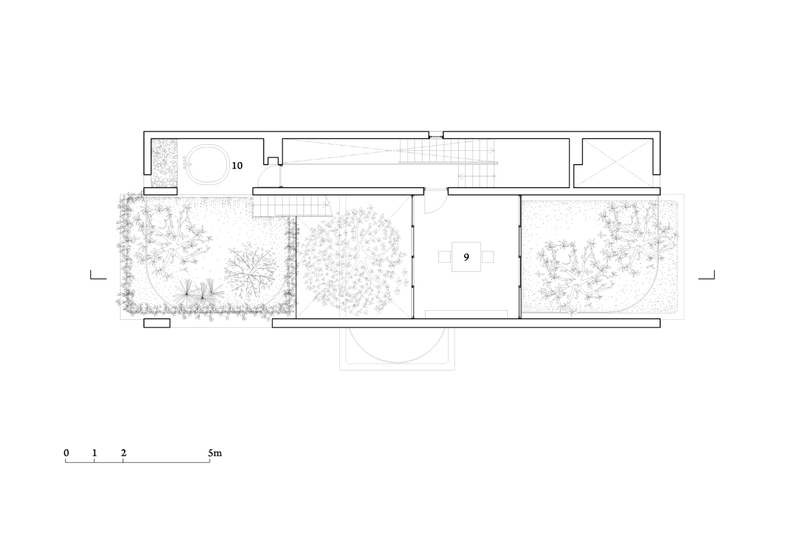 The layout of the rooms and gardens arranged along a longitudinal axis, with no visual impediments created by private spaces such as bathrooms or “mute” spaces such as stairways, creates a feel of family life despite their spatial distance from one another. 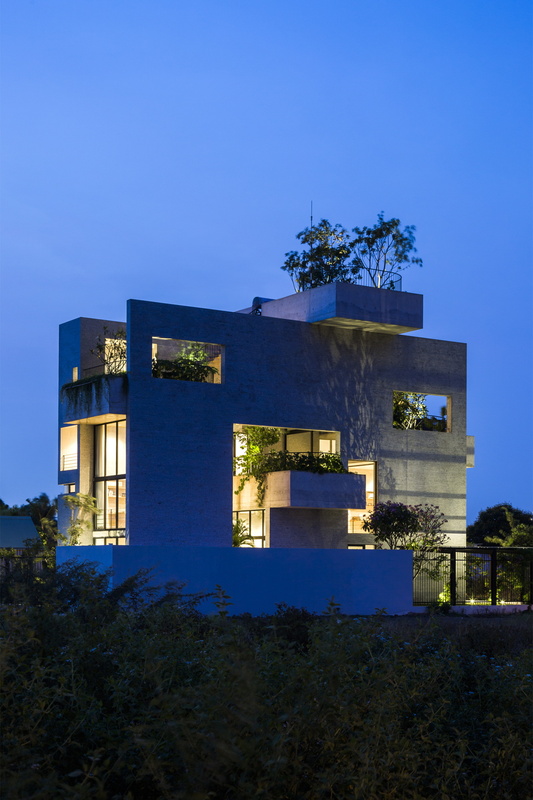 The home is particularly efficient in climatic terms, because its design combining full and empty spaces with alternate openings on the outer walls promotes natural ventilation. 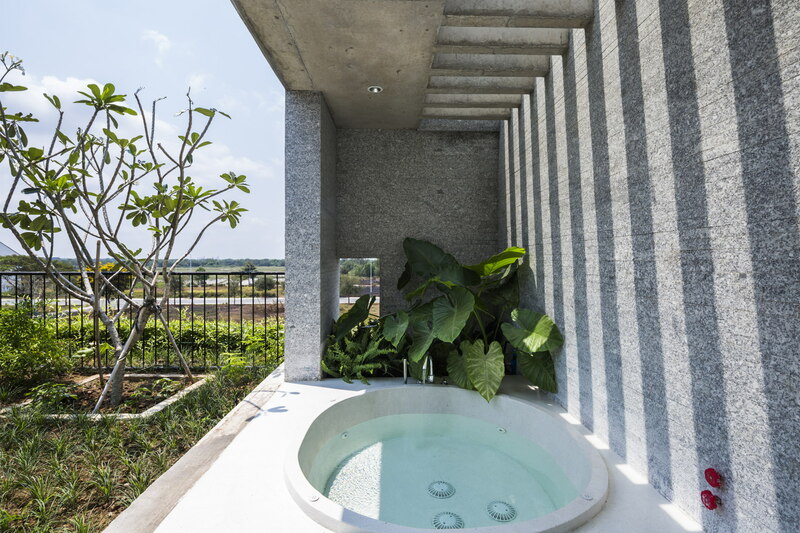 All the links and bathrooms are aligned in the block to the west, creating a space for thermal insulation to shelter the living room, reinforced by covering all the longitudinal dividers with granite both inside and out.